The acoustic guitar is really a marvel of design and changing technology. Though the acoustic guitar may look like a simple instrument, constructed of wood, plastic, steel, and some other materials, this marvelous instrument has advanced through the hands and ideas of many pioneers, artists, aristocrats, and others in acoustic guitar design. From the early middle ages and Baroque models of European lutes (http://en.wikipedia.org/wiki/Lute), even tracing back to the 2nd century “pandura”, a primitive stringed instrument of wood from the ancient Greek culture, the modern day acoustic guitar is an amazingly complex yet beautifully simple instrument that has become one of the most popular instruments in the world today. 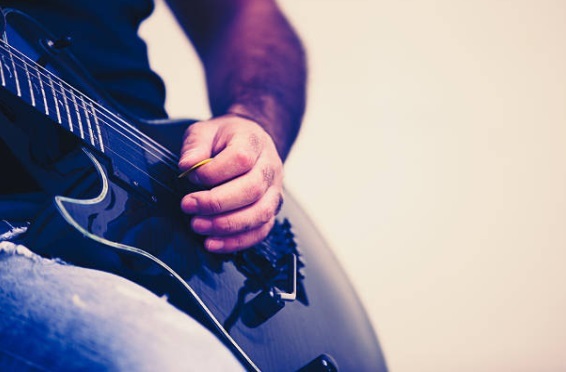 If you are considering learning to play the acoustic guitar, or if you are already a player, learning a bit more about how this instrument works can bring a deeper appreciation of it. In this simple overview, we will be sharing the basic anatomy of the acoustic guitar. Additionally, once you learn the basic anatomy of the acoustic guitar, it is relatively universal across manufacturers and models. Though some of the tonewoods vary quite a bit, and the craftsmanship can also vary drastically, it is good to become well acquainted with the craftsmanship of the acoustic guitar in order to be able to identify quality versus quality shortcuts before buying a guitar. Looking at the provided acoustic guitar anatomy chart, notice that the main sections of the acoustic guitar can be divided into 3 major regions: head, neck and body. The head or headstock is important for both the quality and ability of the instrument’s ability to stay in tune, as well as the typical region whereby luthiers (guitar makers) or commercial guitar manufacturers impart their logo or trademark. With more expensive guitars, the headstock region becomes a place where guitar makers can show off their artwork and creativity by inlaying the wood with precious materials like abalone and mother of pearl. The head region is also important in that it contains the end of the guitar which is responsible for individually tuning the strings. Additionally, in many acoustic guitar models, the truss rod can be accessed for changing the relief of the acoustic guitar neck in order to affect the “set” or the height of the strings. The neck of the guitar is another magical section of the acoustic guitar, and is where great guitarists have learned to develop incredible skills, creating some of the most amazing guitar compositions. From classical greats like Andrés Torres Segovia, to modern day virtuosos like Phil Keaggy, many have accomplished an amazing level of mastery in working along the neck to create musical masterpieces. The neck contains the majority of the fretboard, where chords, scales, and individual notes and solos are hammered out. In many acoustic guitar models, it also contains the truss rod (referred to in the previous section) for adjusting the string height and neck relief. In a later article, we will go into more detail on this section. The body, or soundbox as it is often referred to by luthiers, is another region of marvel. The body is where the strings become amplified, and are imparted with tones and overtones that are characteristic of the individual tonewoods that are used for the top or soundboard, as well as the back and sides of the acoustic guitar body or soundbox. Luthiers have experimented for years with different woods and have come up with marvelous combinations of body sizes, styles, bracing patterns, and tonewood combinations to create an incredibly diverse offering of acoustic guitars globally. 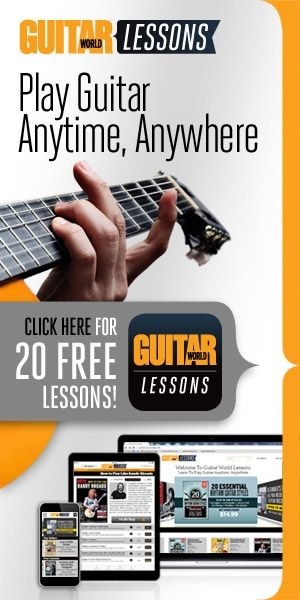 Simply by changing the combinations of the sizes, body styles, internal bracing patterns, and tonewoods, many beginner guitar players and advanced players alike can have access to a virtually endless supply of guitars with diverse personalities and sound profiles. From the small bodied and small sounding parlor model acoustic guitars to the large, full sounding and most popular Dreadnought body style, the guitar sound personalities are virtually endless. In a later lesson, we will share how to understand the different tonewoods that are used and how they affect the tones and overtone qualities. From the varying guitar top tonewoods, such as Sitka, Adirondack, Engelmann Spruce, and Cedar…to the sides and back tonewoods such as Indian Rosewood, Mahogany, Koa, Sapele, and Maple (to name a few), we will explore how dynamic and diverse the combinations of guitar models can be. Whether you are aspiring to play a crisp, finger style flamenco guitar, or a rich, warm steel Koa wood Hawaiian style, the choices are virtually endless.